NEW YORK – A new bipartisan measure aims to create uniform safety regulations and protect the health of all Americans who use personal care products. Introduced by U.S. Sens. Susan Collins (R-Maine) and Dianne Feinstein (D-Calif.), The Personal Care Products Safety Act is a bipartisan bill that would set rules and guidelines for pharmaceutical companies and other industries creating personal care items such as baby powder, lotions and hair products. Market experts now estimate that the industry collects over $60 billion in revenue, but a New York talcum powder attorney at Cellino & Barnes says federal rules haven’t been updated since before World War II. According to New York talcum powder attorneys, there are questions surrounding many personal care products and the ingredients they contain. Over the last 80 years, there have been few official studies on these ingredients, and testing is rare. Under the new bill, the U.S. Food and Drug Administration (FDA) would be required to evaluate at least five ingredients per year to determine whether they are safe, and how these ingredients can be used appropriately. The bill also outlines a process in which consumers are warned about dangerous ingredients if federal researchers find evidence of negative health impacts. Sens. 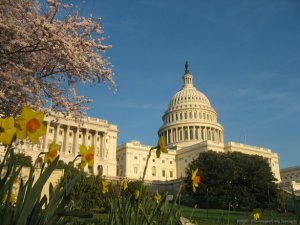 Feinstein and Collins hope to pass their bill this year, as it could provide important information and resources to both consumers and companies. Recently, several Johnson & Johnson products containing talc have been linked to ovarian cancer. Independent studies on this connection have been conducted with mixed results, but several women who filed complaints have won large jury verdicts. Earlier this month, J&J was ordered to pay $110 million to a woman currently receiving chemotherapy after her ovarian cancer migrated to other organs. If you or a loved one has been diagnosed with ovarian cancer and you suspect talc may have played a role in its development, a New York talcum powder lawyer at Cellino & Barnes could help. Our attorneys are former physicians and legal advocates with years of experience handling cases involving medicines, dangerous products and more. Call the New York talcum powder lawyers today for a FREE case evaluation. NEW YORK – Lawsuits against major drug companies and their testosterone supplements are piling up in courts across the nation. Almost 2,000 cases are accusing drug manufacturers of causing serious injuries with supplements such as Axiron, Testim and Androgel, according to the U.S. Judicial Panel on Mulidistrict Litigation (MDL). Most lawsuits claim the drug makers failed to warn consumers of serious risks like blood clots and heart attacks. Some cases allege the pharmaceutical products were improperly marketed. New York dangerous drug attorneys at Cellino & Barnes say thousands of men may have been exposed to high-risk topical treatments. A number of cases are currently being prepared for early trial, which could measure how juries will consider the evidence and arguments of both sides, allowing attorneys to prepare for the bulk of the cases currently being reviewed. Data suggests physicians wrote millions of prescriptions for testosterone replacement medications and, some cases allege, to many men who did not need the topical treatment. If you believe you’ve been injured by a testosterone gel or other treatment, contact an attorney who focuses on handling these cases. 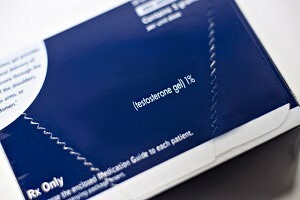 NEW YORK – The U.S. Food and Drug Administration is asking companies for more safety data on testosterone drugs after a patient broke out in hives during a mid-stage trial. According to Reuters, the FDA is becoming more cautious with testosterone drugs since it discovered a large percentage of patients didn’t get their hormone levels tested before or during treatment. Reuters reports the FDA requested data on 350 patients exposed to QuickShot Testosterone, a drug introduced by Antares Pharma Inc. 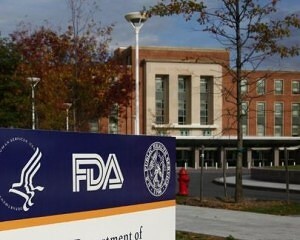 The pharmaceutical company reports it may have to submit more data based on its ongoing late-stage trial. Antares is currently in the testing phase of QuickShot Testosterone and the government’s request for more data could delay its regulatory and marketing applications.